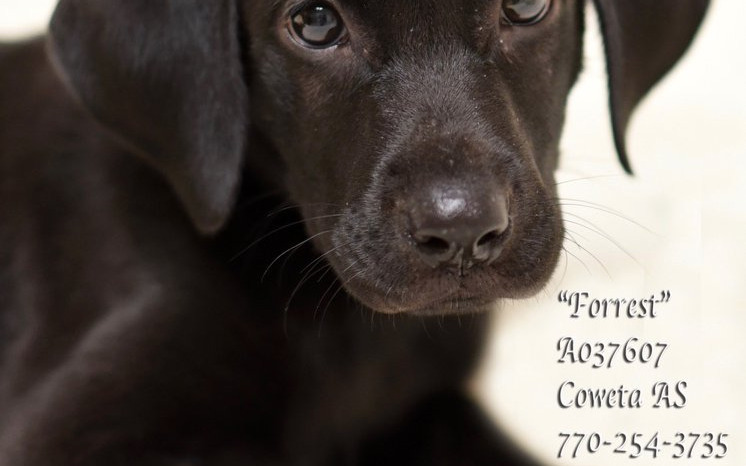 Forrest was found in Newnan, GA, abandoned and left to die. The person who found him thought he might have been hit by a car as he was unable to use his rear legs or wag his tail. She brought him to Coweta County Animal Services, where he was taken care of by the shelter vet. He was brought for xrays, and it was found that he actually had a spinal injury, cause unknown. He was treated with large doses of steroids, and miraculously, his tail started to wag, and he was trying to stand. Within a week, he was moving with help, and the shelter staff were hopeful that he might one day be able to walk. NCHS pulled Forrest, and he is now in a loving, foster home. Funding is needed to make sure that his medical needs can be taken care of...this loving little guy is being given every chance through the efforts of the shelter staff and Newnan Coweta Humane Society, and with your help, he will continue to improve. Please give whatever you can...donations are tax deductible, and will go directly to Forrest's care.